With a world of color options, our colorful paper party goods offer a rainbow of opportunities. Choose from a full spectrum of colors to mix, match and mingle with other solids or as accents with our themed ensembles. You'll find bright ideas for all your party needs! 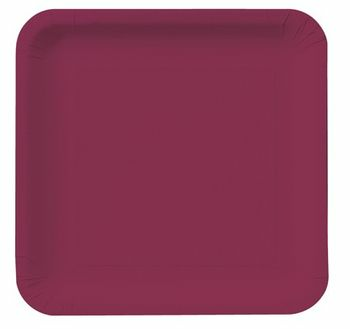 Burgundy 9" Square Dinner Plates, 18 ct.
Burgundy 7" Square Lunch Plates, 18 ct.
Burgundy 2-Ply Lunch Napkins Paper 50ct. 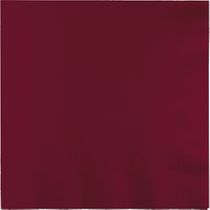 Burgundy 2-Ply Beverage Paper Napkins, 50ct.